A classic long-wing brogue derby, made with polished leathers. 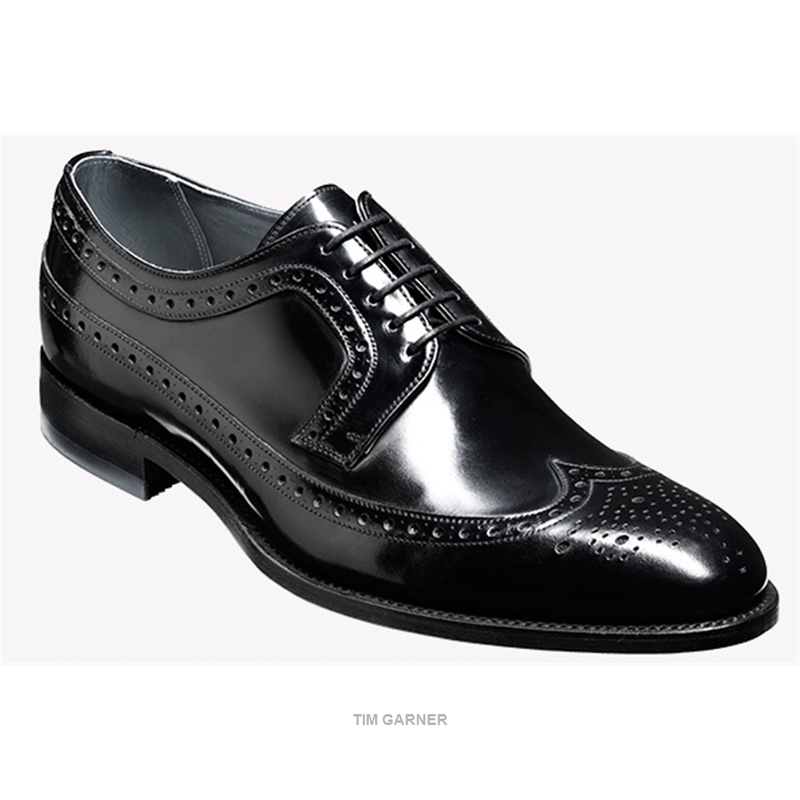 Barker shoes have been an English tradition for over a hundred years.Only the most carefully selected leathers are used and the uppers are shaped on the last by hand. Many other traditional shoe making methods are still employed including slow natural drying and polishing.This is why Barker shoes have a unique quality that no machine can ever match. Barker shoes have been made in the Northamptonshire village of Earls Barton since 1880. In a changing world, it's good to know you can still find perfection if you look for it.